Do you love dancing? Do your kids love dancing? Than this Huge 18’ Inflatable bouncer is perfect for you. This Bounce House is great for all types of parties and events. It will have all your guests dancing and bouncing like there is no tomorrow. With the LED Lights and the incredible Sound System – your event will be the best and most talked about party of the year. 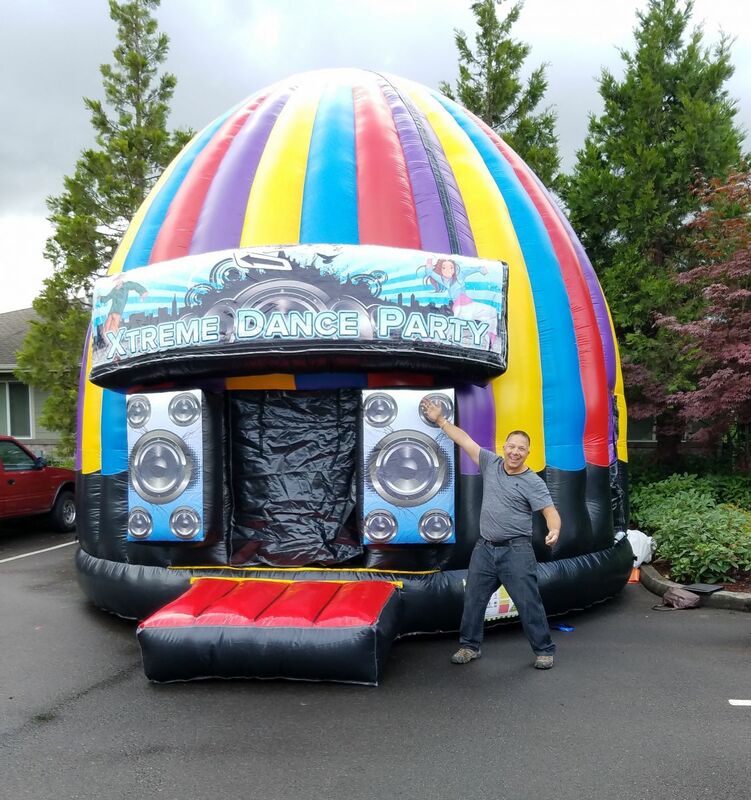 Want to give your guests more fun and excitement, check out our Inflatable obstacle courses in the Pierce County Area. Why go to a club, when you can bring the ultimate dance party to your backyard? 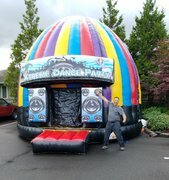 This Xtreme Dance Party Dome Inflatable is great for both kids and adults. 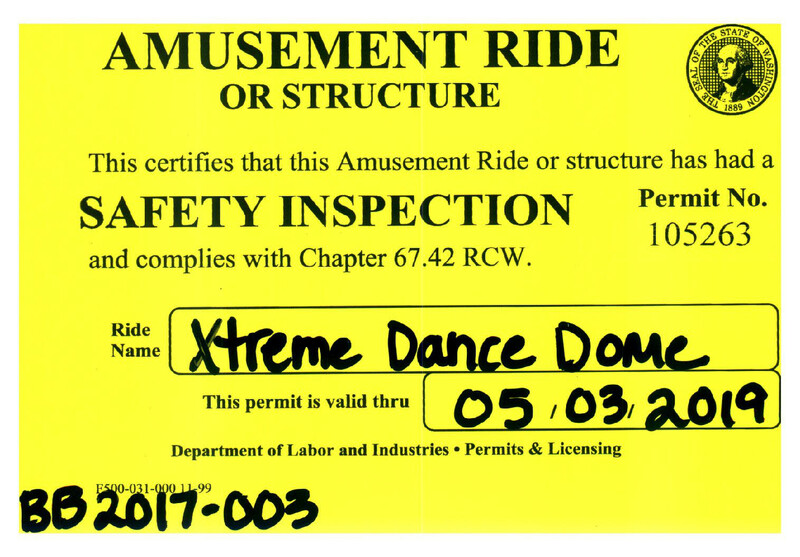 This Xtreme dance party dome rental includes a sound system, flashing LED lights, a Disco Light, and a cable to connect your iPod or MP3 player. It keeps the light out and has adequate ventilation and air flow throughout the bouncing area and walls. 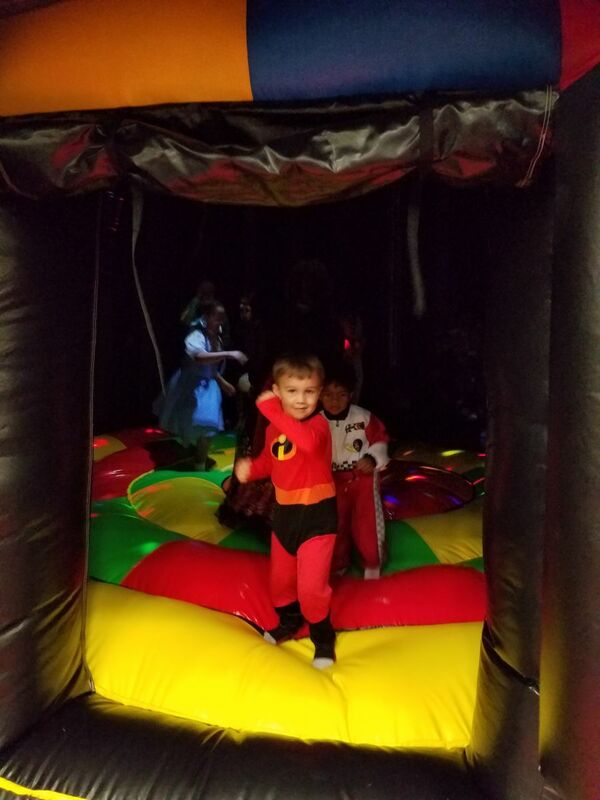 The dance surface is the same but almost twice as big as a traditional bouncer, so you and your guests can bounce and dance the night away in this Dance Dome Bouncy Inflatable. Best inflatable for a SUPER FUN PARTY. CAUTION: Lighting may affect seizure disorders.